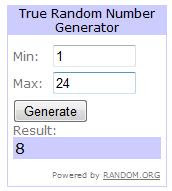 Katy Wilko from http://rottenottersthoughts.blogspot.com/ won the £25 gift voucher for ASOS. Given to us by http://www.discountcoder.com/. They have some fab discount codes available from lots of top fashion retailers including Dorothy Perkins, House of Fraser and New Look so make sure you check them out before you buy online and save yourself some cash. Loving this Dolce & Gabbana Chiffon Shoulder Dress in Black for $655 shown on http://www.forwardforward.com/fwd/DisplayProduct.jsp?d=F&s=C&c=Dresses&product=DG-WD63. enjoying your blog very much~!! just to let you know I have posted your prize and FINGERS CROSSED this one reaches you ok!! !